Question: My problem is my 10-year-old son’s behaviour. I am the primary carer as my husband is early to work and late home, so he sees him for an hour or so a day. My son doesn’t listen to me or respect me. His time on his PS4 always ends with him having a meltdown, throwing something, slamming doors, calling me stupid and shouting things from upstairs. He moans and argues constantly about going to bed – every night is exhausting. I literally don’t know what I can do. I feel so ineffective and his behaviour is wearing me down. How can I just manage him better? David replies: Managing children and their behaviour can feel wearing, particularly when they have strong personalities, and their views and desires differ to our own. However, your son is still of an age where he needs quite a lot of guidance and direction about what to do and when to do it, in order to have a healthy and balanced life. Sometimes our sense of “ineffectiveness” with our children can come from our own struggles with our self-esteem, or other experiences where we feel unconfident or ineffective. It sounds like your relationship with your son has left you at a low ebb, emotionally. I think you might really benefit from some therapy for yourself to boost your self-confidence and to remind you of your strengths and your positive qualities. In many ways it is about garnering a bit of “emotional minding” for yourself, so that you can feel more able and more confident about minding your son, including setting the important limits on his behaviour. As part of your process, you may also want to review your core parenting strategies. This is best done in conjunction with your husband, since he is a co-parent, even if he seems to abdicate some of that responsibility by working long hours outside the home. Where mothers and fathers are both around, they need to be jointly involved in rearing their children. Your son’s dad needs to step up to the plate a little more and be more active in his parenting role. 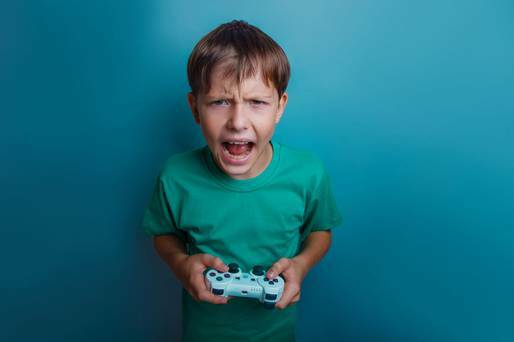 For example, if you have been struggling, during the day, to help your son stay balanced with things like time on his PS4, then maybe taking a back seat at night might help you to regain some of your energy for the next day. There is nothing to stop his dad being the one to ensure he gets to bed on time. From a parenting perspective, we gain our own power from being clear, decisive, fair and understanding in our dealings with our children. When they learn that we follow-through, with either consequences or rewards, they may still challenge us, but they know we mean business and so they are more likely to accept our direction. But they can also experience us as fun and fair in terms of enjoying spending time with them, being interested in their lives and being willing to listen to them, even if we aren’t always able to accede to whatever it is we have heard. Children’s respect for us is intrinsically linked to their sense of our respect for them. So, if they feel that we don’t listen, or shout them down, or ignore them, or don’t seem to care about their needs, they are unlikely to accord us any respect in return. If, on the other hand, they do experience us as being firm, but kind, they tend to have a lot of respect for us. So, as much as we might focus on their disrespectful behaviour, we might also have to take a long and critical look at our own behaviour towards them. I do think a period of self-reflection and a re-emergence of your sense of shared purpose with your husband will help you find your reserves of strength and determination. Your son needs a firm hand, allied with a lot of understanding that it is tough being told what to do.